The Clinical and Translational Science Institute (CTSI) of Southeast Wisconsin represents a unique and transformative collaboration among the Medical College of Wisconsin, its campus research partners, and the major academic institutions in Southeast Wisconsin. 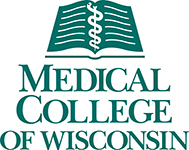 Located in the western suburbs of Milwaukee, the Medical College of Wisconsin has been educating the future physicians of America for over a century. 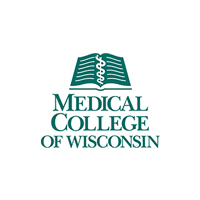 The College was founded in 1893 as the Wisconsin College of Physicians and Surgeons. In 1913, the Wisconsin College of Physicians and Surgeons merged with the Milwaukee Medical College to form Marquette University School of Medicine. In 1967, the medical school separated from Marquette University to become a free-standing institution, subsequently named the Medical College of Wisconsin. In 1978, the College moved to its present location in suburban Milwaukee, on the campus of the Milwaukee Regional Medical Center. Education – Teaching the physicians and scientists of tomorrow while enhancing the skills of today’s health professionals. Research – Creating new knowledge in basic and clinical sciences through biomedical, behavioral and health service research. Patient Care – Caring humanely and expertly for patients and providing leadership in health services. Service – Forging local, regional, national and global partnerships in education, health care and research for the betterment of human health. The Versiti Blood Center of Wisconsin develops and distributes blood products across Southeastern Wisconsin. In addition to offering critical blood products, Versiti also has one of the world’s leading research institutes for blood research in the Blood Research Institute (BRI), focusing on vascular biology, thrombosis and hemostasis mechanisms, transfusion medicine, immunology and stem cell biology. With more than 600,000 individuals on the donor registry, CTSI has a large resource of available candidates for clinical trials. 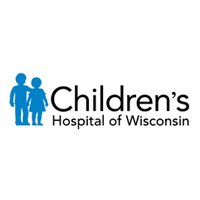 Children’s Hospital of Wisconsin (CHW) is the only Wisconsin hospital dedicated solely to the care and treatment of children and is consistently recognized among the top children’s hospitals in the country by Child and U.S. News and World Report magazines. The 236-bed hospital has a long tradition of supporting research, leading to the 2004 opening of the Children’s Research Institute (CRI) focused on pediatric initiatives that promise to provide new answers and improved solutions to children’s unmet health care needs. The CRI has focused on developing interdisciplinary programs of excellence in genomics; developmental and cell biology; cancer, immunobiology and host response; cardiovascular biology; health services research; community health and prevention; behavioral health; and clinical research effectiveness and outcomes. 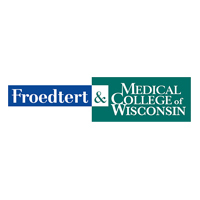 Froedtert Hospital (FH) is a 451-bed adult hospital that serves as a tertiary referral center for Eastern Wisconsin and Northern Illinois and houses one of only two Level 1 Trauma Centers in Wisconsin. FH is a strong supporter of clinical and translational research with a 173,000 square foot cancer center dedicated to patient care and research, including clinical trials support, epidemiology and cancer prevention efforts. It also houses a Patient Care and Outcomes Research Center and the Center for International Blood and Marrow Transplant Research. The Eye Institute at FH also functions as a major research center in addition to providing patient care. 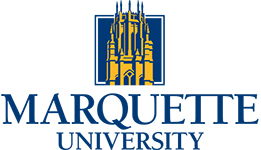 Marquette University (MU), Wisconsin’s largest independent educational institution, is a national, urban, Jesuit University. Its resources and programming in support of CTSI include novel methodologies such as implantable vascular stents for pediatric applications, rehabilitation robotics and devices, magnetic resonance compatible technologies for evaluating sensory-motor function in stroke and spinal cord injuries and for imaging the blood vessels in the lungs, and the development of hardware/software for stimulus presentation and image analysis for functional imaging. MU contributes faculty expertise, students, laboratory facilities, graduate-level course work, continuing education and funding to CTSI for students and seminars. Formal collaborative programs are planned, such as placing biomedical engineering students in MCW clinics to identify solutions to clinical needs and then work with clinicians, technology experts and faculty to design innovative technologies with commercial applications, such as medical tools and devices. 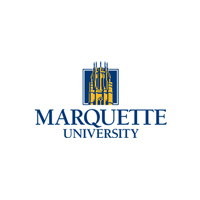 Marquette will also be able to engage its industrial alliances with companies like A.O.Smith, Briggs & Stratton, Johnson Controls, Kimberley-Clark and Rockwell Automation toward research and cooperative education programs. Milwaukee School of Engineering (MSOE) is an independent university offering 17 bachelor’s degrees and 10 master’s degrees in the engineering, engineering technology, computer, business, nursing, health-related, architectural engineering and building construction fields. 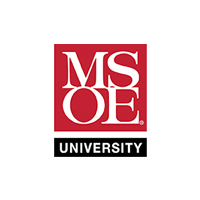 MSOE has a national academic reputation and is best known for its applications-oriented curriculum and longstanding ties to business and industry. Through the university’s Applied Technology Center™ (ATC), faculty and students focus on applied research, bringing engineering technology and principles to scientific, biomedicine, government and medical applications. There are several nationally-recognized centers of excellence in the ATC, including the Rapid Prototyping Center, Center for BioMolecular Modeling and Fluid Power Institute™. Offering a Bachelor of Science degree in BioMolecular Engineering (the only such program in the state of Wisconsin). The program focuses on areas like genomics, biotechnology, synthetic biology, metabolic engineering, mathematical biology and control drug delivery. The Milwaukee VA Medical Center (Zablocki) consists of a 168-bed acute care hospital, as well as providing 113 nursing home care beds and 356 domiciliary beds for programs in substance abuse, psychiatric rehabilitation and Post Traumatic Stress Disorder. A mobile clinic also provides access to primary care for veterans. The Milwaukee VA Medical Center records more than 500,000 outpatient visits annually. 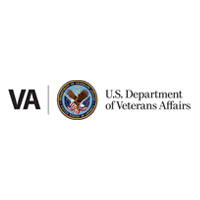 The Milwaukee VA Medical Center has a new research unit focused on the needs of specialty geriatric and veteran populations, including injuries/rehabilitation, metabolic syndrome, spinal cord injury and prostate disease. CTSI is particularly well poised to assist patients with rehabilitation from loss of limbs during combat in Iraq and Afghanistan due to several long-standing collaborative rehabilitation programs between MCW and MU, and additional opportunities with MSOE and UWM. 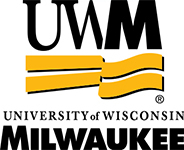 The University of Wisconsin–Milwaukee (UWM) is one of the state’s two public doctoral research institutions and it shares a rich, collaborative research history with MCW in projects spanning microbiology, pharmacology, neurodevelopment, toxicology, endocrinology, orthopedics, kinesiology, infectious disease, environmental health and education. Faculty from UWM’s Colleges of Engineering and Applied Sciences, Health Sciences, Letters and Science, Nursing, as well as the Helen Bader School of Social Welfare, Lubar School of Business and the newly formed Schools of Public Health and Freshwater Sciences are represented in CTSI. 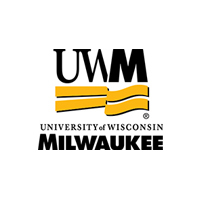 UWM also has partnerships and alliances with a number of commercial enterprises that can be engaged in the work of CTSI, such as those involved in health care informatics, pharmaceuticals, and several early-stage biotechnology companies with marketable products in development. Today, UWM is building on the strengths of the faculty in research relevant to CTSI such as addiction and behavioral health, bioengineering and imaging, children’s environmental health, freshwater science, health care informatics, and self-management of chronic illness. UWM’s commitment to developing research and educational partnerships is exemplified by its linkages to CTSI and its partnering institutions, international collaborations in Europe, Asia, Africa, and Latin America, and new university-industry consortia. The Versiti Blood Center of Wisconsin develops and distributes blood products across Southeastern Wisconsin. 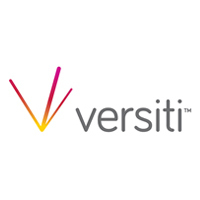 In addition to offering critical blood products, Versiti also has one of the world’s leading research institutes for blood research in the Blood Research Institute (BRI), focusing on vascular biology, thrombosis and hemostasis mechanisms, transfusion medicine, immunology and stem cell biology. With more than 600,000 individuals on the donor registry, CTSI has a large resource of available candidates for clinical trials. Children’s Hospital of Wisconsin (CHW) is the only Wisconsin hospital dedicated solely to the care and treatment of children and is consistently recognized among the top children’s hospitals in the country by Child and U.S. News and World Report magazines. The 236-bed hospital has a long tradition of supporting research, leading to the 2004 opening of the Children’s Research Institute (CRI) focused on pediatric initiatives that promise to provide new answers and improved solutions to children’s unmet health care needs. The CRI has focused on developing interdisciplinary programs of excellence in genomics; developmental and cell biology; cancer, immunobiology and host response; cardiovascular biology; health services research; community health and prevention; behavioral health; and clinical research effectiveness and outcomes. UWM also has partnerships and alliances with a number of commercial enterprises that can be engaged in the work of CTSI, such as those involved in health care informatics, pharmaceuticals, and several early-stage biotechnology companies with marketable products in development. Today, UWM is building on the strengths of the faculty in research relevant to CTSI such as addiction and behavioral health, bioengineering and imaging, children’s environmental health, freshwater science, health care informatics, and self-management of chronic illness. UWM’s commitment to developing research and educational partnerships is exemplified by its linkages to CTSI and its partnering institutions, international collaborations in Europe, Asia, Africa, and Latin America, and new university-industry consortia.